When we talk about informal caregivers, we’re referring to loved ones– typically, close family members– who take on the responsibility of ensuring that a person who is no longer able to see to their day-to-day needs is cared for in the proper manner. While many people are able to be in the same city or town as their loved one who needs caregiving, not everyone is so lucky. Many family members have to provide care remotely and can only be physically present on a periodic basis. While this is a difficult situation, it’s not an impossible one to navigate. With thorough planning, plenty of communication, and the right execution, it is possible to see to a senior or disabled loved one’s needs from afar. one thing in common– they are not cheap. The national average price for a one-bedroom unit is $3,500 a month. There are funding options for families who need to secure a loved one in an assisted living facility. However, there is very little direct government support available to those seeking help to pay for assisted living care. Because of this, many people prepare ahead of time by investing inlong-term care insurance. If your loved one doesn’t have one of these policies or another funding option, it is definitely worth looking into selling their current home. While keeping a property in the family is a goal for some, most of us do not want to deal with the upkeep and financial burden of an extra house that isn’t even in use. If you are in the latter camp, note that the amount you get from selling a home may only scratch the surface depending on where your loved one lives. If the property barely covers the costs, you’ll have to look into an alternative funding options for long-term care. If your loved one would prefer to age in place, make sure the home is as safe and comfortable as possible. It’s a good idea to send over hired help for various home projects and chores, especially if your loved one has limited mobility. Hiring a service for tasks such as house cleaning and yard work will reduce the presence of tripping hazards and help keep your loved one healthy in mind and body. It will also give you peace of mind if you are unable to help out in the home regularly. To get an idea of prices, search for services near your loved one; for example, if your loved one lives in Prescott, it will cost an average of $104-$234 to hire a cleaning service. While there are a lot of ways you can outsource certain care services for your loved one, nothing beats being there yourself. It’s important to schedule regular trips to visit with the person for whom you are caregiving. Not only do you need to see for yourself that their needs are being met, but showing up and spending time with them is essential to the care of their mental health. Loneliness and isolation are huge problems across the country, particularly in the senior community. Showing up and being there for your loved one is a great way to mitigate senior loneliness and see to their needs. ● Big cities often have a lesser-used airport where you can find inter-state flights for less. Also look at airports conveniently located in the suburbs of cities for cheaper airfare. ● If you need accommodation, look into a home-sharing service in the area rather than a hotel. Not only are properties via sites like HomeAway and Airbnb cheaper, but you can also find a unit with a kitchen that makes it easier to cook your own meals, eliminating the need to go out to overpriced restaurants. ● Drivers can save money on gas by making sure their car is tuned and properly fueled. Furthermore, use reward programs to get cash back or special deals at certain petrol stations, or simply find the cheapest price near you with gas-finding apps. Long-distance caregiving takes plenty of resources, so it’s important to know your options when it comes to paying for long-term care and saving on travel costs. Assisted living facilities differ in costs depending on where your loved one lives, so be diligent when looking into resources that will help you pay for it. You can’t do everything long-distance– it’s important to be there for your loved one. Save on travel by looking at alternative airports, home-sharing rather than renting a hotel room, and using best practices to cut down on the cost of gas. 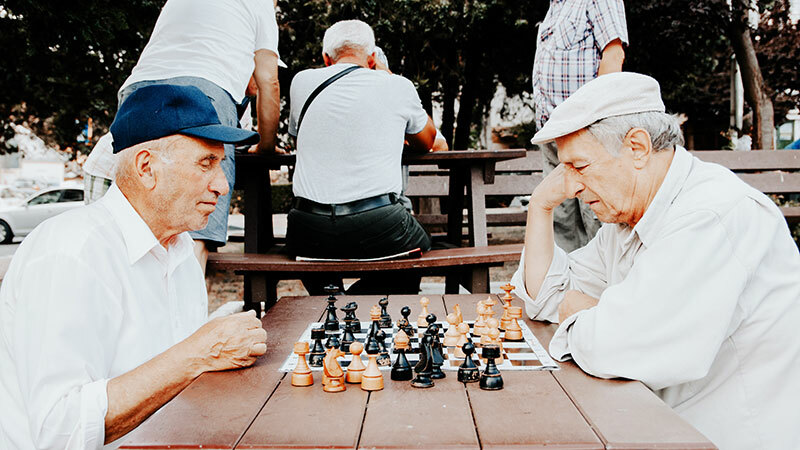 Peer Volunteers help other seniors identify ways that they can increase their social connections and improve their sense of meaning and purpose in their lives.